A Japanese crime novelist and a small town sheriff are lured into the same strange murder mystery in director Dave Boyle's engrossing, cross-cultural neo-noir Man From Reno, starring Ayako Fujitani, Pepe Serna and Kazuki Kitamura. The critically acclaimed film opens in New York and Los Angeles on Friday, March 27. The film is a bit of a departure from Dave's previous work, which include the wacky comedy White On Rice and the black-and-white musical road comedies Surrogate Valentine and Daylight Savings. Here, he jumps genres, taking a completely different turn into moody Hitchcockian suspense, while stay true to his idiosyncratic voice. 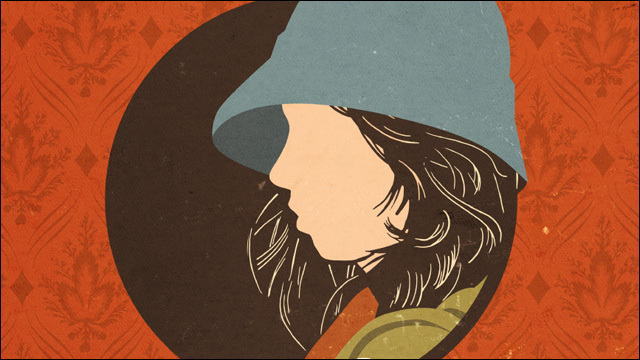 Brian, a San Francisco-based designer and illustrator, did all of the design work for Surrogate Valentine and Daylight Savings, as well as Goh Nakamura's album Ulysses. Dave said he wanted the tribute poster to match the "cute but creepy" tone of Man From Reno's mystery novel vibe. "The heroine of the film is Aki Akahori, a mystery novelist who writes these kind of cutesy and charming books. 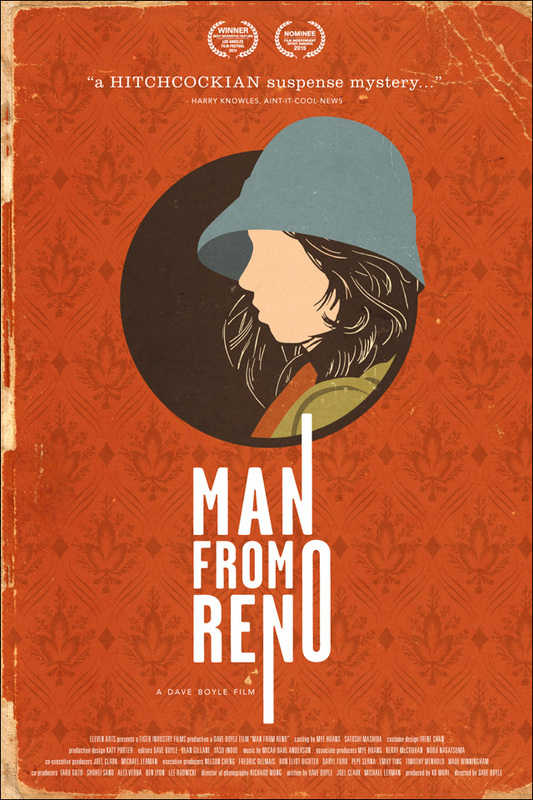 While the official theatrical poster for Man from Reno is appropriately thriller-esque, I was keen to try something that captured the weird "cute but creepy" tone of the movie. So I was really stoked when Brian said he wanted to run wild with it. The result looks like a battered old paperback -- something that might be right at home with Aki's books." For more info about the film, head over to the Man From Reno website and follow updates on Facebook.